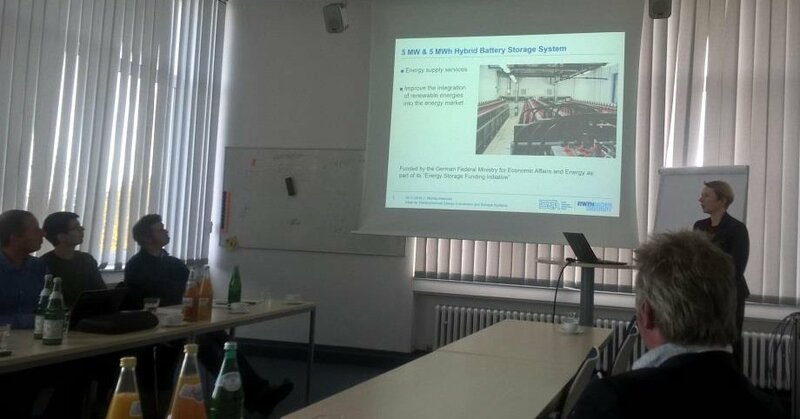 After the success of the HYPEREGIO Energy Storage Brokerage Workshop in Aachen, companies from Liege grasped the opportunity to visit RWTH ISEA and E-lab facilities. In the framework of HYPEREGIO, the visit began with a presentation of ISEA facilities, storage management solutions and testing laboratories. In the afternoon, the visitors discovered multiple tools available at the ELab in order to help them developing their own smart storage solutions.